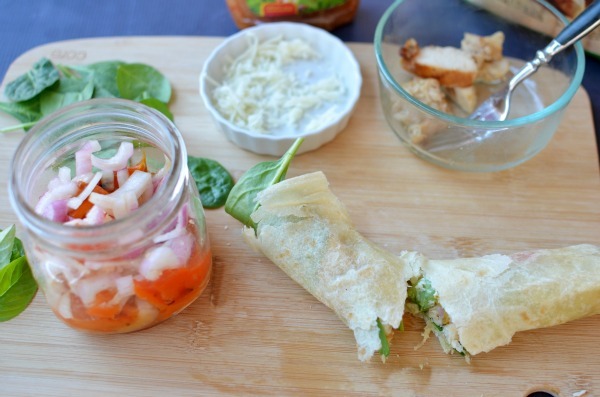 Are you ready for another simply and easy mealtime solution? The other day I shared my grilled chicken and pepper pasta and today I’ve got another easy meal perfect for lunch or dinner. 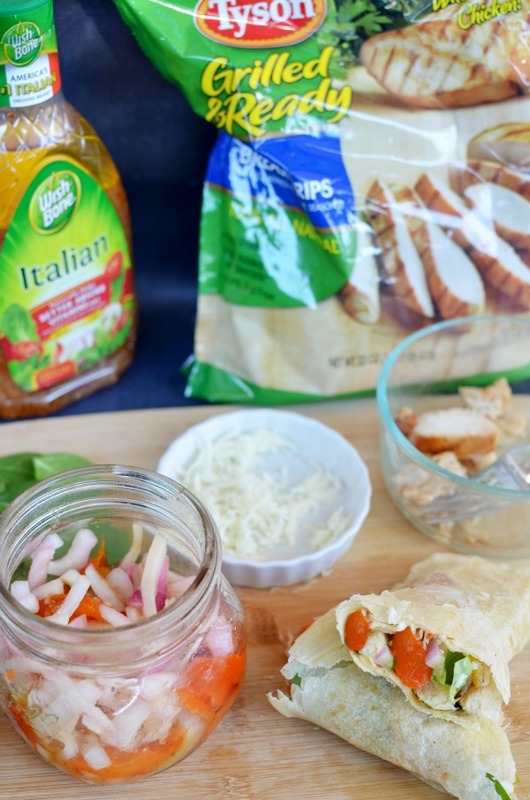 Italian grilled chicken wraps are so easy and fun to put together. They are truly something the whole family can enjoy, putting the power of creativity in the wrappers hands. 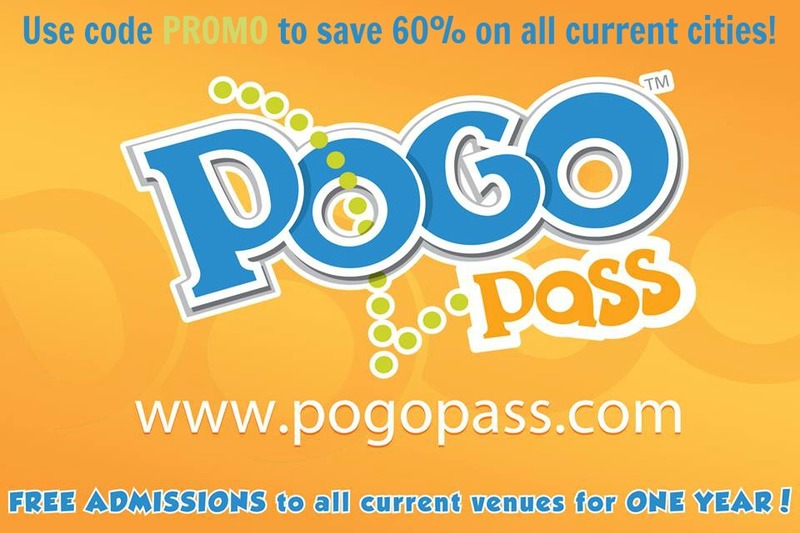 Are you looking to save time this year? Introduce more veggies into your diet? Sometimes finding healthy solutions that please the whole family can be difficult. This is a creative and beautiful recipe with bright colors. Up the health factor even more by serving wrapped in a piece of lettuce. 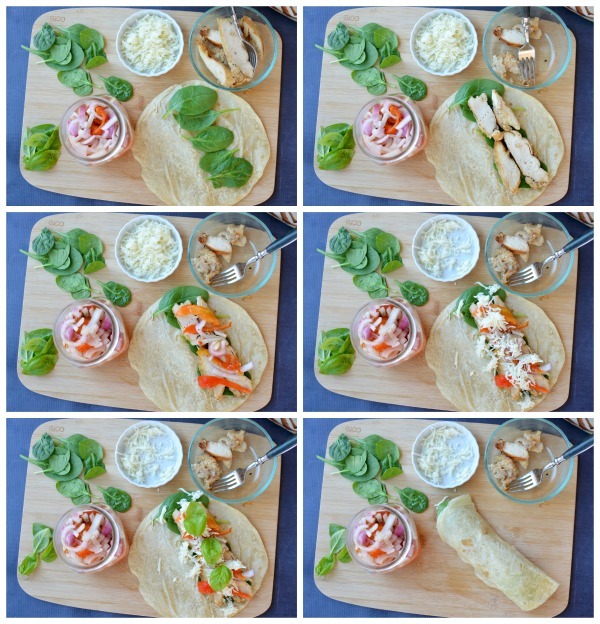 Are you ready for this easy and flavorful grilled chicken wrap? With a little simple prep-work, a few fresh ingredients, plus some pre-cooked chicken you are ready for an easy meal-time solution. The secret is in the prepped veggies: pickled peppers and onions. Prep your peppers and onions ahead of time using this easy recipe. Cook your chicken and slice into strips or use pre-cooked chicken strips. 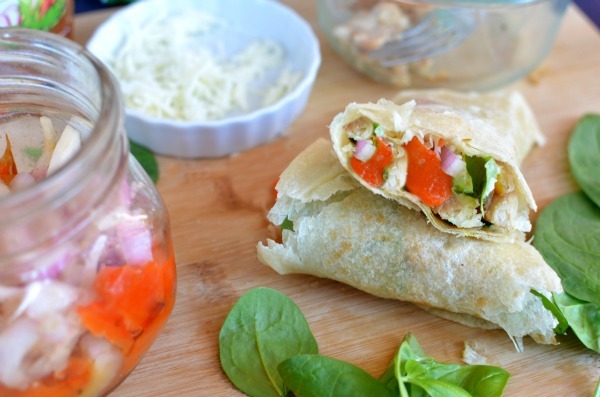 Place a layer of spinach on top of a tortilla or wrap. Layer next with chicken, pickled peppers and onions, and cheese (optional). Top with a few leaves of fresh basil and a drizzle of dressing. Roll tightly and cut in two. This is a perfect meal solution for those nights when you have very little time between school/work and bedtime. 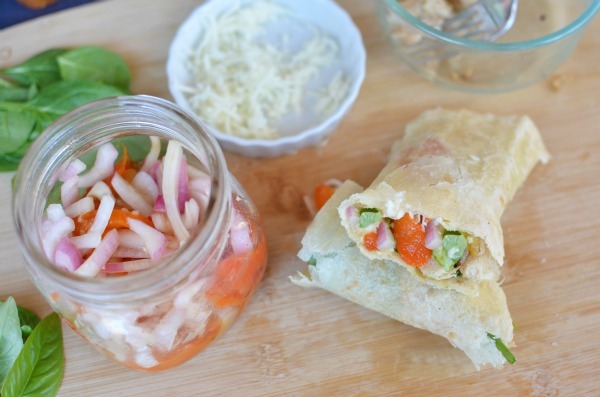 Make it a wrap building night and let the whole family help with the meal.